Dr. Steinberg was very attentive and thorough in her examination. I felt reassured by her adeptness and confidence in herevaluations. Would definitely recommend her to others!! Dr. Steinberg was very attentive and thorough in her examination. I felt reassured by her adeptness and confidence in her evaluations. Would definitely recommend her to others!! Waited for a long time and called me back again and again, and I have to pay expensive co-pays every timewhich she doesn't really care. Eventually after three visits, she came to the conclusion - I just need to use more artificial tears, which lead me to think do you really need to see me three times to get there? Waited for a long time and called me back again and again, and I have to pay expensive co-pays every time which she doesn't really care. Eventually after three visits, shecame to the conclusion - I just need to use more artificial tears, which lead me to think do you really need to see me three times to get there? The front desk is rude and impatient. Dr. Steinberg is terrific - a smart, thoughtful, and funny person, and an outstanding doctor. I made a last-minute appointment because I was running low on contact lenses and they fit me in, plus gave me 5 days of sample lenses. Her staff is helpful and courteous. I was happy with my last Ophthalmologist, but I am already happier with Dr. Steinberg. The exam was comprehensive. Dr. Steinberg was very nice. Her staff was competent. No nonsense professionalism is perfect for a busy schedule. Dr. Steinberg demonstrated excellent bedside manner, keen knowledge, and performed a thorough examination. The doctor herself was professional but the wait time was unacceptable. I had an original appointment and an extraordinarily brief follow up and waited for over an hour both times. There are always situations which throw schedules off, butI won't be back to sit and wait for an hour a third time. The office also took several hours to call in an eyedrop prescription. If they can't be bothered, they should just give you the physical prescription. I was unimpressed with the office staff. The staff was good and professional and Dr. Steinberg was great and informative. Will go back again. I’ve been her patient for a number of years. She’s terrific. Her office staff is lovely — everyone is very professional and remarkably capable. Office staff are kind and professional. Wait time is minimal; I was there for a standard eye exam and was in and out of the waiting room a few times in between different parts of the exam. Dr. Steinberg is great.She is very friendly, personable, and down to earth. She immediately puts you at ease, explains everything, and makes sure to ask if you have any questions throughout the exam. She was very thorough and I left feeling very confident about my eyes! Dr Steinberg was wonderful. I came in with a rather concerning condition and she was very thorough, took plenty of time to listen to me and fully understand the issue, then was proactive about my treatment plan. I feel very comfortablewith my condition and treatment plan after seeing her. I had come to her to get a 2nd opinion, but after seeing her, I will switch to her for my entire treatment. She made me comfortable because she listened fully to my concerns and issues and took plenty of time speaking with me about our plan forward. I highly recommend her! 9 minutes with the doctor - who is great. 40 minutes in the waiting room. Always professional, always takes me on time, and the entire staff is lovely. Great staff. Dr Steinberg is very good!! Really thoughtful and thorough. I never feel rushed even thought she’s very busy. I paid for a Contact Lens Prescription but they didn't give it to me. This happened to my sister as well! It should be automatic as you leave the office. Great office and thorough examination!!! Dr Steinberg has helped me with my eye allergies, and she also did my son's eye exam. We are both very happy with our treatment. 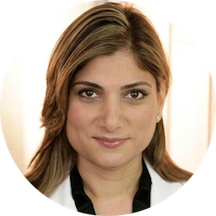 Dr Hilla Steinberg is a friendly, easy-going and thoroughly and highly professional. It is always a pleasure to get my check-ups or look into any problems with her. The office (staff and physical décor) is clean and pleasant and they keepthings rolling along at a snappy pace. I highly recommend her for her extensive knowledge, her non-alarmist attitude, and her way of making you feel comfortable and in good hands. She was very pleasant and thorough in her examination. Gentle and genuine. She's a keeper. She’s great. Very professional, good patient care. Nice office staff. Dr. Steinberg was really professional and knowledgeable, had excellent bedside manner, and answered all of my questions. Office staff was also welcoming, friendly, and thorough. Would highly recommend! I like her a great deal, she is very professional ,personable and direct. Her staff is friendly and courteous. Nice atmosphere and very helpful staff. Pleasant and friendly. Clean office; efficient. Doctor very informative with everything. It was my first visit with Dr. Steinberg and the overall experience was wonderful. Great time management and very attentive to patient's questions. I will definitely come back to see her and recommend her to my friends. The assistants were alsovery professional, friendly, and helpful. They made my visit very pleasant. Dr. Steinberg is absolutely lovely, professional, and with impeccable bedside manner. Her office is clean and well-kept, and her office staff is welcoming and courteous. I highly recommend Dr. Steinberg to anybody in search of an opthomestrist. Best eye Doctor I came across so far. Very kind, professional and paitient. Willing to adddress all questions even if are stupid. Hilla was wonderful!! She is very knowledgeable and professional and I appreciate that she took the time to explain everything she was doing. I would definitely recommend her! This office has a lot of patients rotating at once. I was there for an hour and 45 minutes for routine care and check up. I was told by the receptionist to plan on two hours (!) max for any appointment.I spent most of the time waiting in the waiting room. I was in and out of the exam room 3x. Dr. Steinberg is excellent! I am thankful for incredible discomfort that i had in my eye, because as a result i visited Dr. Steinberg, who removed a long eyelash from my eye with great precision and professional care. Dr. Steinberg alsotook the time to explain to me how such sensations affect the entire being, unlike injuries elsewhere, such as minor injuries to the hand or arm. Dr. Steinberg also took the chance to test my general eye health-- useful to me as one of my parents had glaucoma, the other has makular degeneration. Thanks to Dr. Steinberg's careful testing, i have peace of mind knowing that i do not have any indications of either malady. I am writing this note as my wife just asked me to provide for her the name and address of the excellent ophthalmologist i visited on Tuesday: Dr. Hilla Steinberg 179 West 79th street, suite 6 Her Staff is also excellent. Her office is quite busy, a little disappointed it took 3-hours for my visit...supposely for new patients there is a 2-hour vistit. I've been seeing Dr. Steinberg since I moved nearby. Her staff is friendly and wait time is minimal. I appreciate how efficiently things run in her office and that she doesn't try to up-sell (she knows I have glasses that Irarely wear, so she doesn't try to convince me to get new lenses even though my prescription has changed slightly). Very nice and professional doctor and assistant, but rude receptionist and got bamboozled at the end Went in to see about a possible eye infection and wound up at 375 out of pocket 375 for a followup contact fitting + non-coveredrefraction test which is 3 TIMES rate at another doc for my far more thorough initial fitting, Would go back for medical visit, but if all you need is a prescription STAY AWAY. UPDATE: When calling back for clarification I was immediately attacked by the receptionist and made to feel like an idiot. Due to that I would never go back for anything. She’s a terrifically doctor. I’ve referred friends to her and everyone is always very pleased with her medical expertise and her staff. SHE HAVE NOT LASIK SURGERY FACILITIES. It took too long to be attended by the doctor. The appointments of her office are not matched with the ones from Zocdoc, so I left the office after 2 hours and 30 mins. The personnel were very kind, and the doctor was very professional. Easy to talk to, really took her time to check me out and make sure everything is good. Her staff is great! Very pleasant, and informative. thank you. Dr. Steinberg was professional, courteous, thorough and attentive. She solved the issue on my first visit! Dr. Steinberg appears to be an excellent doctor who is thorough and works to prevent eye and vision problems when possible. She has excellent bedside manner and clearly cares about her patients.